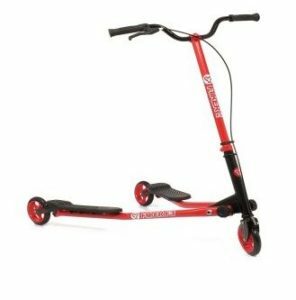 If you are looking for the perfect gift for any occasion for a little boy who has got more than enough energy for playing and strolling, the Yvolution Y Fliker Scooters are among the best gift ideas that you can take into consideration. Different models of YFliker scooters will be mentioned in the rest of this article. In the end, it is up to you to choose which one will be best for your child or to anyone to whom you will have it given. Regardless of the model that you get, you can be sure that all of the options that will be presented below are of high quality since they are made by just one manufacturer. The Yvolution Y Fliker F1 scooter is the best option if the users are at least 5 to 7 years old. It can support children weighing at least 48 kilograms. F1 is a perfect gift for young children who would want to have fun in a three-wheel scooter. At a young age, when this is given to a child, the recipient can have the ability to use this as fitness equipment to remain healthy and fit. Also, aside from being fitness equipment, this can also prove to be right equipment for transportation and an excellent recreational tool. Many parents with children who are using this scooted have expressed a high level of satisfaction because of the capability of this model to be easily folded. Therefore, once their child is done playing, they no longer exert much effort in having it kept and stored. If your child has already grown up, the ride that you bought a long time ago may no longer prove to be right. For children who are already seven years old, this ride is the perfect option. It has a maximum weight capacity of 100 kilograms. This free-ride will operate in a smooth manner making it easy to maneuver and more enjoyable to use, compared to some other scooters that are hard to drive around. Also, another good thing about this is that it is stylish, making it look trendy and a lot more fun. Besides, many have also opted for this model mainly because of the fun that it has provided for many children, as noted by their parents. Note, whoever, that this ride will work best on a flat surface, and will not be working correctly in an uphill area. 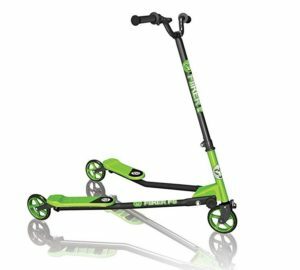 For younger kids, the straightforward J1 model can prove to be a good scooter that can be used when having fun on the outdoors. It has a maximum capacity of 20 kilograms. The best thing about this model is that since it is designed primarily for kids, it is very easy to use. One of the things that make J1 easy to use is the fact that it is lightweight. Remember, it was designed specifically for children who are three years old. Therefore, it is made from materials that are light, yet stable and durable. This makes the scooter very easy to maneuver and ring around. 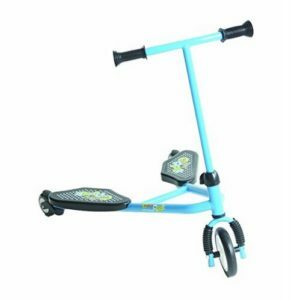 Even at the age of 3, you can give your child some degree of independence when using this scooter. This is a common choice for parents who would want to give their children some free time, such as when in the park. It has been liked by many parents because they see it as being very safe and reliable. For older users of a scooter, specifically, those who are already ten years old, the perfect model of choice will be the Kids Y Fliker Scooter, which can support up to 220 kilograms of weight. It is available in green and black, which is the perfect blend for those people who are looking for a contrast between color that is warm and sophisticated. The green makes it appear very lively, while the black balances the brightness that is caused by the color green. 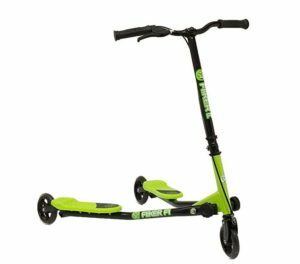 The F5 is one of the outdoor toys that will still be loved by your children, even if they are already older, especially if they have been used to playing with scooters at a young age. Even at 10, they will still surely find the Fliker F5 very fun to use.